Pork Tofu is a classic all-time favorite in Hawaii...this is my version which has a Filipino influence...Hope you like it! 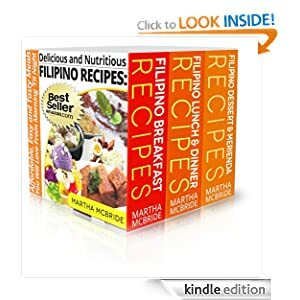 Order Filipino Recipes Boxed Set - Digital Download - Get instanstant access to delicious homemade Filipino recipes. Place the pork in enough boiling water to cover the meat and add the whole pepper corn and salt. Simmer over low heat until the meat is tender. Cut into bite sized cubes and set aside. Fry the tofu in a frying pan with cooking oil until all sides are brown. Drain the excess oil, allow to cool and cut it into bite sized cubes. In a mixing bowl add the soy sauce, vinegar, sugar, minced garlic, pepper, onion and chopped chili pepper to create the sauce. Stir them until they are mixed well. In a large serving bowl, combine the sliced pork and tofu. Pour the sauce over it and mix well.